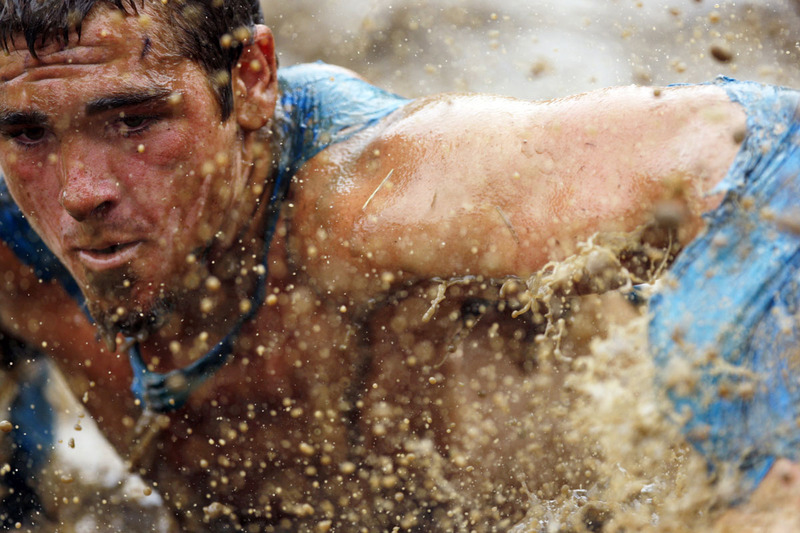 Mud flies in front of a competitor as he swims through mud underneath electrified wires during the Tough Mudder at Mt. Snow in West Dover, Vermont July 15, 2012. The Tough Mudder is a nine mile endurance event which runs competitors through a military style obstacle course complete with mud, water and fire.